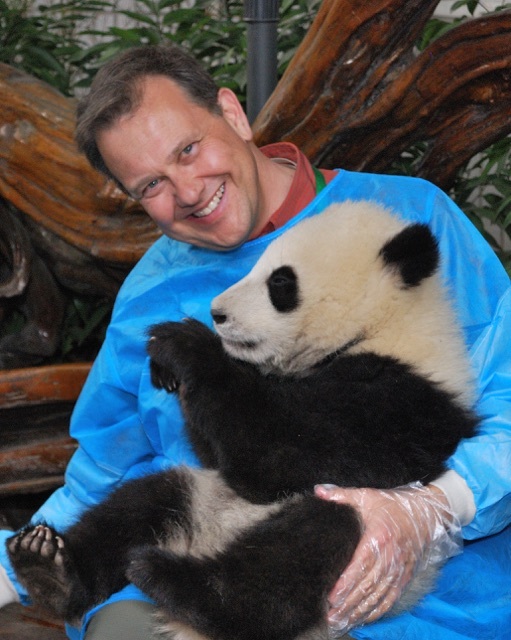 When Dan arranged his second trip to China, his primary goal was to have an adventurous journey where plans could be changed at a moment’s notice. His first trip, which involved a teaching experience at a hospital, did not leave much time for him to explore the national parks or visit the monuments. However, he did learn a few things to help him prepare for the second trip, such as to always carry a business card of his current hotel. 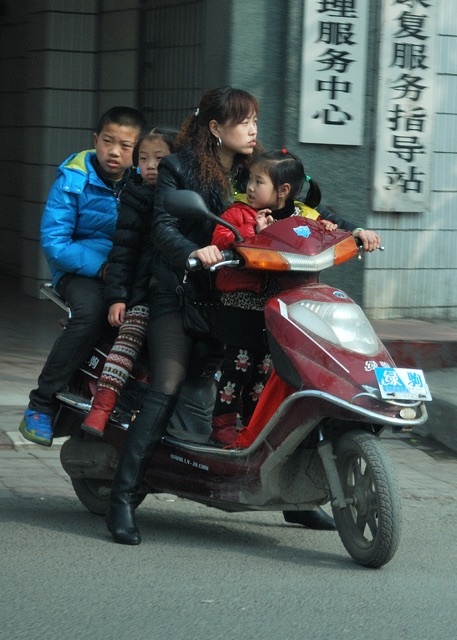 The people of China do not cater to tourism. Therefore, most do not speak English. If you happen to be lost, the hotel business card will allow others to point you in the right direction – otherwise, you best believe you are very lost! For this particular trip, Dan and his three friends avoided purchasing a pre-arranged, packaged deal. In order to have the desired flexibility, they instead opted for a private guide. Not only was a flexible schedule possible with a private guide, but it was also cheaper and they were able to learn much more. The guide, Wei, also knew how to maneuver through the cultural norms. For example, she was able to negotiate prices for them, such as hotel rates, which would have otherwise been missed. Leaving from San Francisco, the four friends took a direct flight to the Szechuan city of Chengdu. (For those travelling to China in the future, Dan highly recommends using a direct flight as it cuts down on time and stress from layovers.) Chengdu is about the size of Fresno, but with at least 20 times the people! 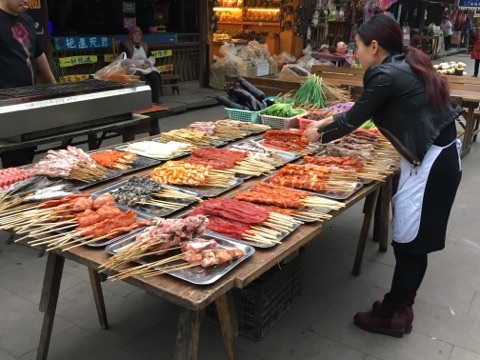 Chengdu has also made its way onto UNESCO’s Cities of Gastronomy list (translation: the food is amazing!). 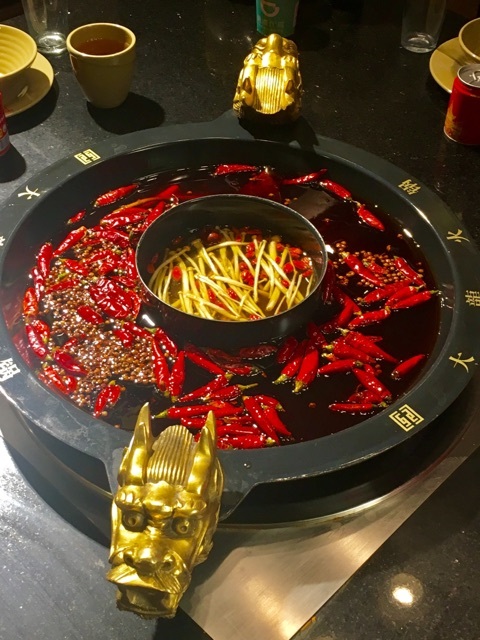 A very well-known Szechuan dish is Chengdu Hotpot. 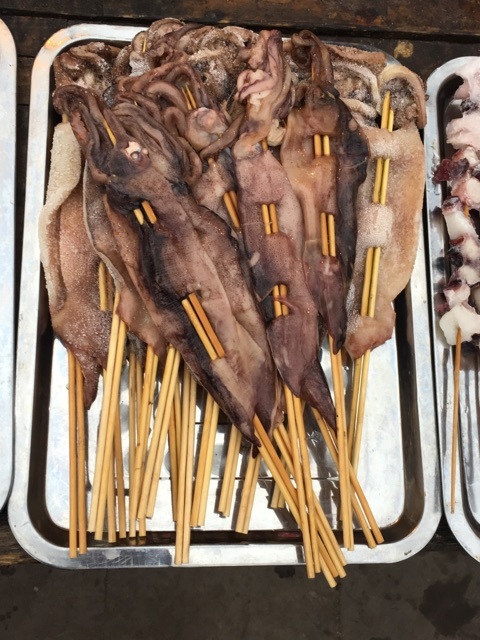 The idea is to serve boiling broth to customers who then choose from different meats (served on a stick) and vegetables to add to the hot broth. Dan recalls that the Szechuan cuisine calls for a surprising amount of bacon. Meals were surprisingly cheap; dinner for the four friends (including full meals and drinks) often cost around $25 bucks! Hiking consumed much of the trip. T he group spent 6–10 hours per day for 10 days (of the two-week trip) hiking to various locations. 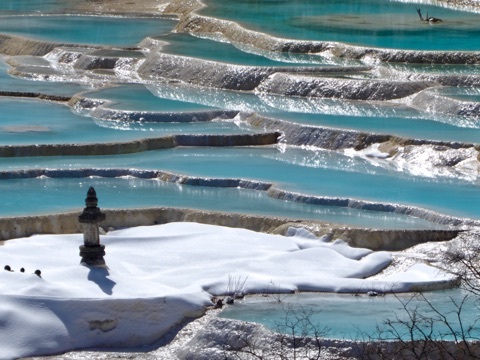 One of the locations, Huanglong Scenic area near Jiuzhaigou National Park, has an elevation of 18,250 feet! No big deal, right? Dan, who had blown a knee a few years prior, wore a knee brace and used trekking poles to make the journey. He reports that if he had not attempted to push the limits, he would have never seen the beauty of this land. The truly amazing characteristic of this area is the incredibly high mineral content. So high, in fact, that natural pools form from calcium carbonate build-up and other natural occurrences (such as earthquakes and rockslides). 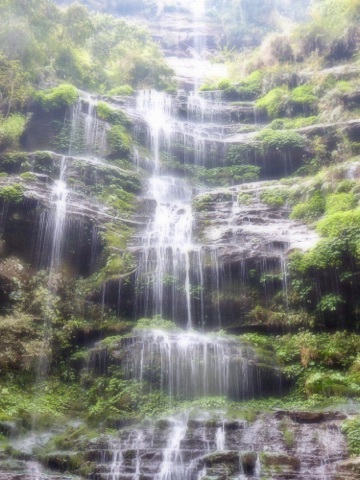 The high calcium carbonate content keeps the water crystal clear. Dan and his friends hiked up to Mount Emei to visit the Golden Summit Temple. 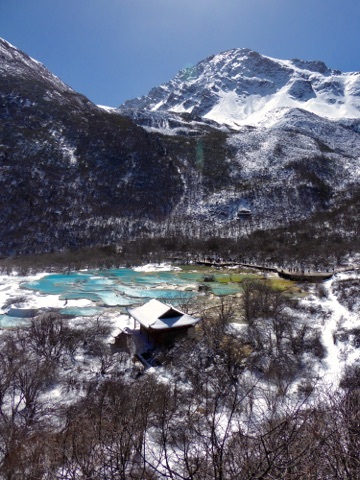 To reach the temple, the group hiked to an altitude of over 10,000 feet up many, many stairs. 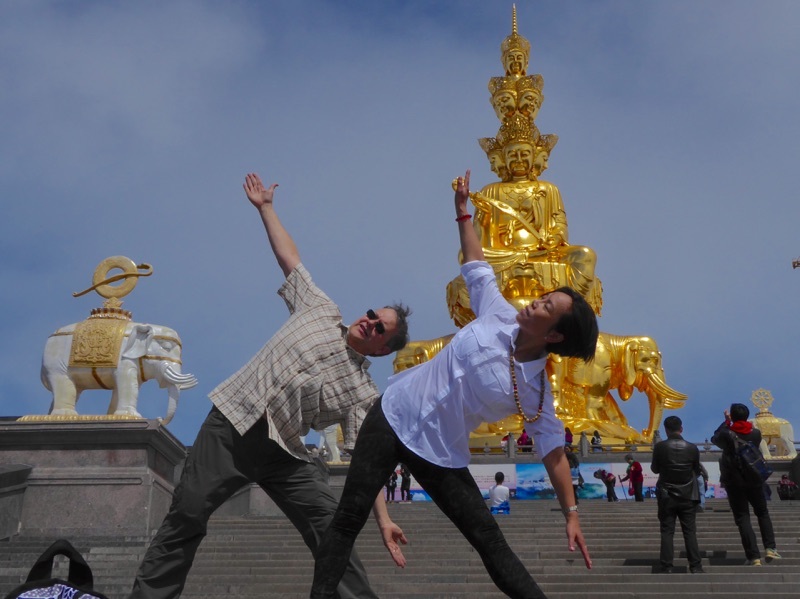 While basking (and resting) in the presence of the temple, Dan and W ei took the opportunity to practice yoga. On another day, they trekked to the Lashan Buddha. Standing at about 300 feet tall, the Lashan Buddha is the largest left in the world since most were destroyed by the Taliban in the early 2000s. The group also made their way through the Bifeng Gorge. 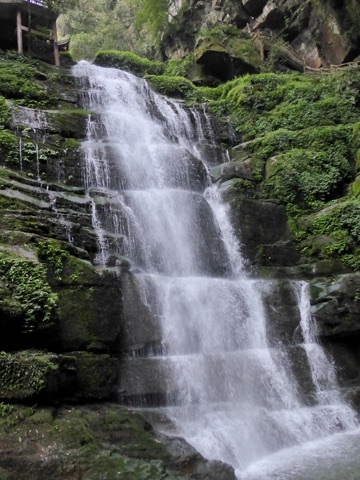 The total hike is 6 miles long (3 miles each way) and the gorge is completely surrounded by waterfalls. As every country is different, it’s always entertaining to observe the cultural differences experienced when abroad. For instance, the Chinese are fascinated with Americans. They will ask for or try to take your picture (and may even sneak in a selfie with you!). However, in most cases, it is very offensive to the Chinese to ask for their picture. They feel watched or spied on. Transportation is also interesting. According to Dan, the picture on the right portrays a “Chinese Mini Van”. Lastly, while visiting the different locations, the group decided to have a bit of a contest. The Chinese, although they do not cater too much to tourists, do try to translate some things to English. The translations are not always accurate. So, the contest was this: whoever could find the worst Mandarin to English translation won. 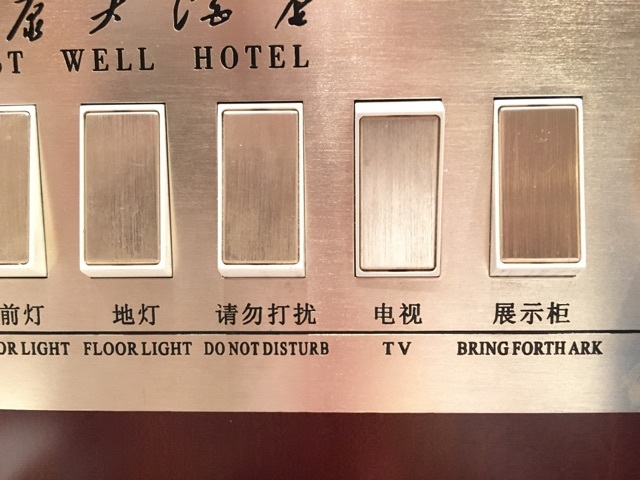 In one particular hotel, Dan found a light switch with different settings on it. Seen right, the very last switch reads “Bring Forth Ark”. As it was raining on that particular day, the group wasn’t too sure what to expect from this switch – but Dan pushed it anyway. What they found was a master switch that turned off all the lights. If you haven’t guessed it already, the switch should have said “Bring Forth Dark”. Needless to say, Dan won the contest. If ever planning to explore China, Dan highly recommends hiring a private guide. It gave him and his friends the ability to explore the country freely. He also suggests avoiding the month of August due to the pollution. In the larger cities – Beijing, Shanghai, and Chengdu – the pollution is typically too heavy to see the sun on most days. But most of all, Dan advises pushing beyond the limits as there are some pretty amazing sights and history that China has to offer.